Popular bean bag game. 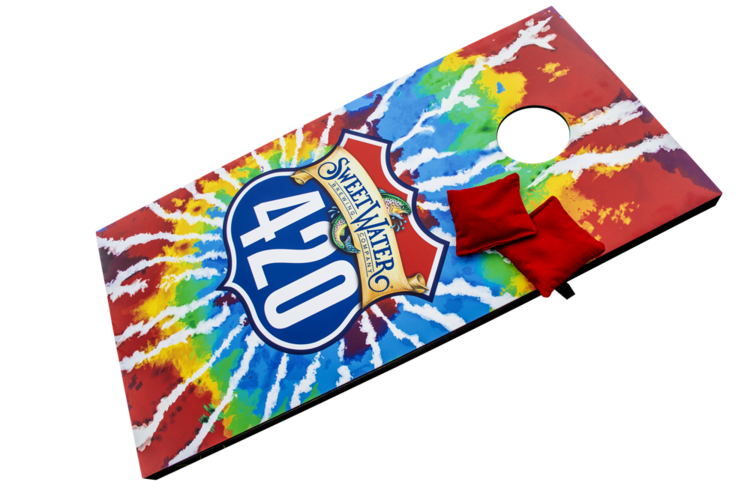 Also known as corn toss, bean bag toss or bags. 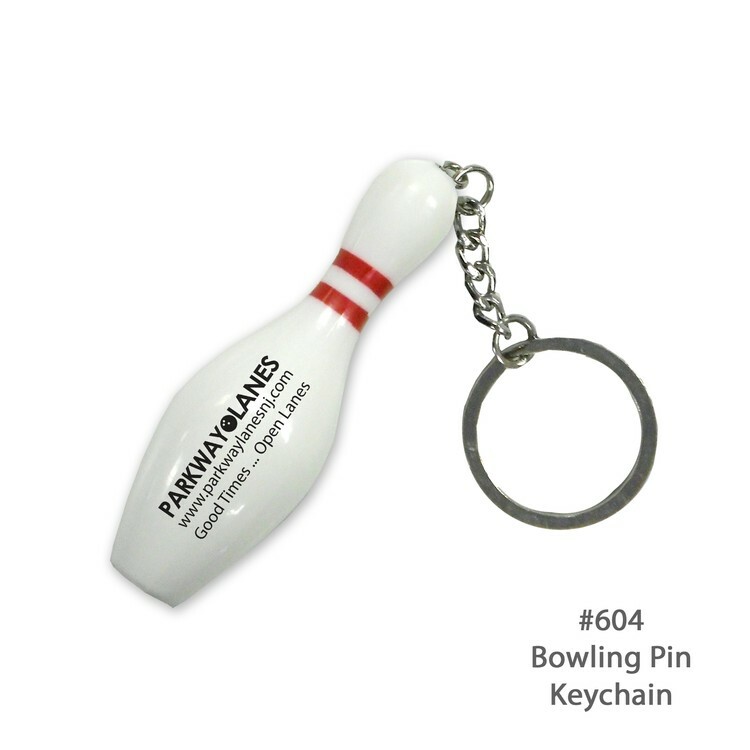 Great for restaurants, bars, tailgates and events. Legs fold in for easy transport. 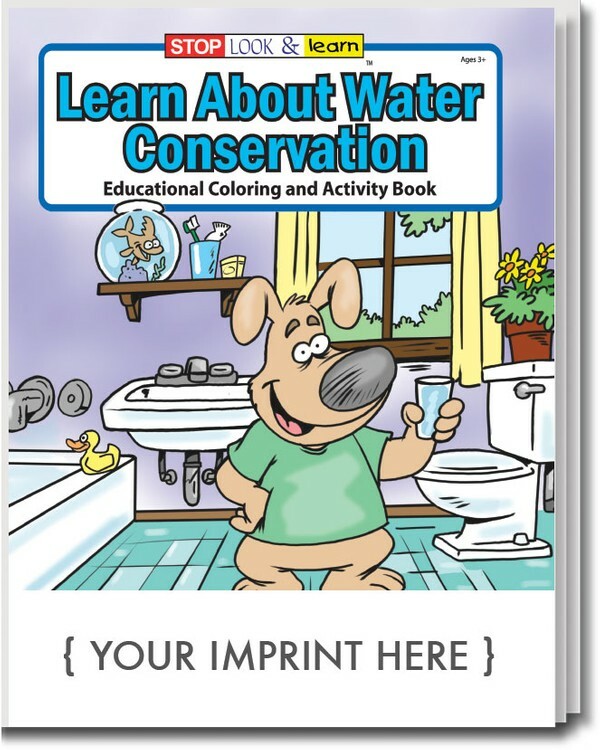 Manufactured moisture resistant wood product with direct printed high resolution graphics. 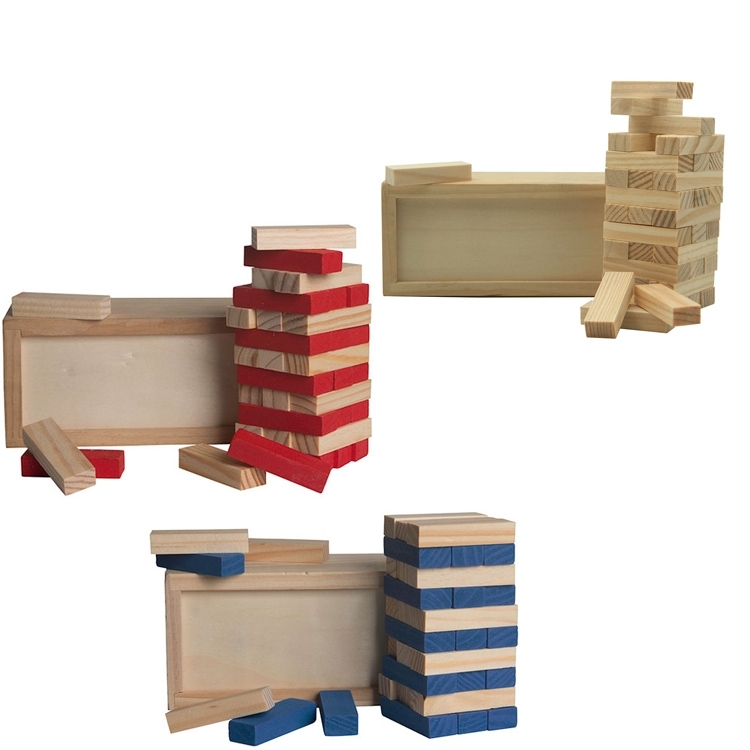 Each set includes 2 game boards and 8 bean bags. Bags available in red, blue, black and yellow. Traditional full size boards. These come with our Low-Vision index, with extra-large corner pips for easy reading! See style JUMBO for our slightly smaller Jumbo pips! This is an absolutely stunning deck of fully customized playing cards. 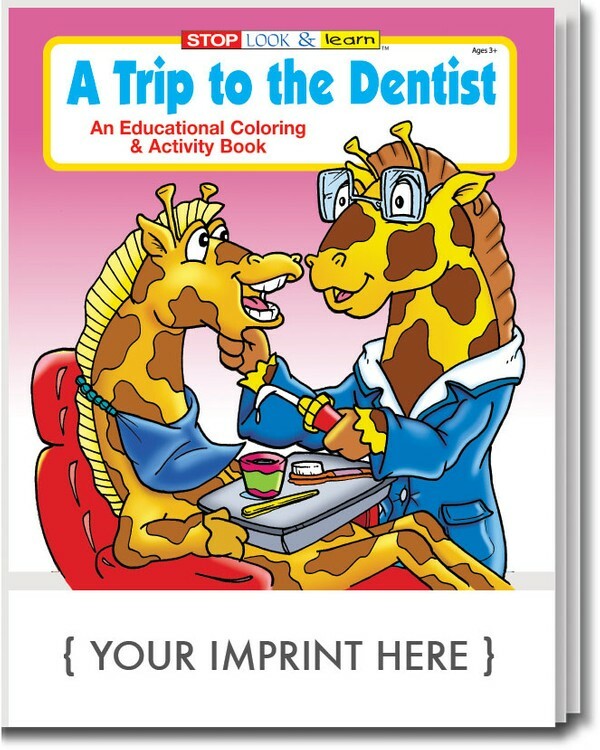 Your custom design or logo is printed in spot or full-color on the common-side of all the cards in the deck along with all the sides of the box in which the cards are packaged. Cello-wrapped for wonderful presentation. 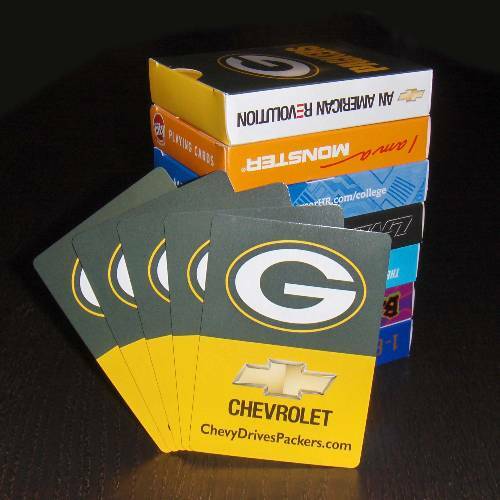 These are great for job fairs and trade shows, for travel companies, airlines, as professional sports team giveaways, nursing homes or hospitals. - Poker Size or Bridge Size - Free PMS Color Matching - Spot or Full-Color Process Jumbo index is available also on our casino-quality and 100% plastic decks. Our spill-proof, tear-proof, ultra-premium 100% plastic playing cards are super-durable and are preferred by professional poker players worldwide. These are available commonly in a smooth finish, but also, subject to availability, on one side with a coarser "matte" finish. 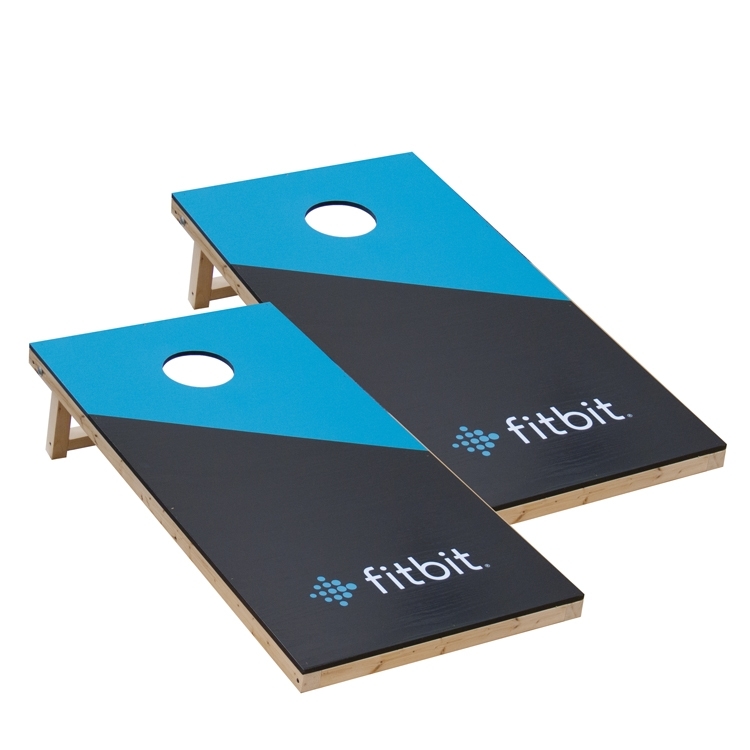 Since these are made entirely of plastic, these are also water-resistant, and work particularly well in water or beverage related promotions. These ultra premium cards will last decades. Choose any of our standard faces options, or create your own for something truly unique. 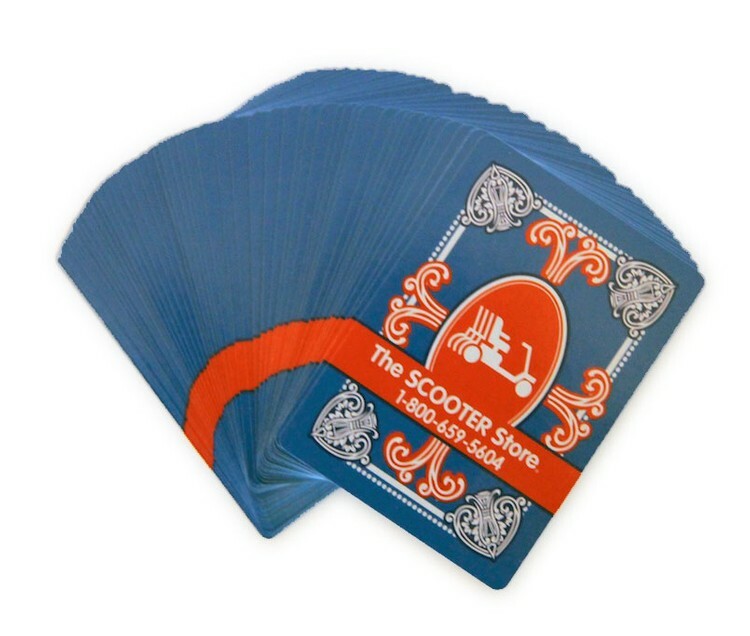 Our most popular deck of playing cards, these hefty cards have a strong rigidity, with an excellent shuffle and snap. 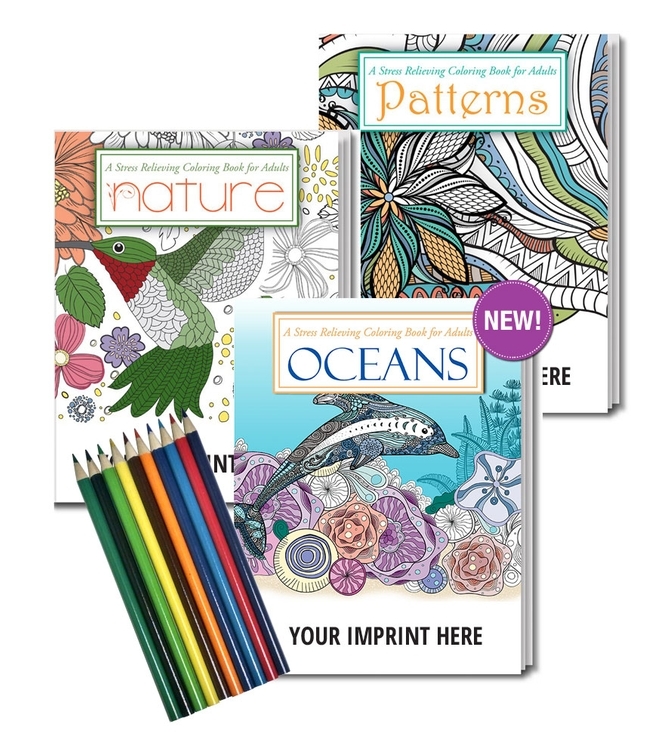 They are printed on three-ply, blue-center stock, and are just about perfect for almost any occasion. 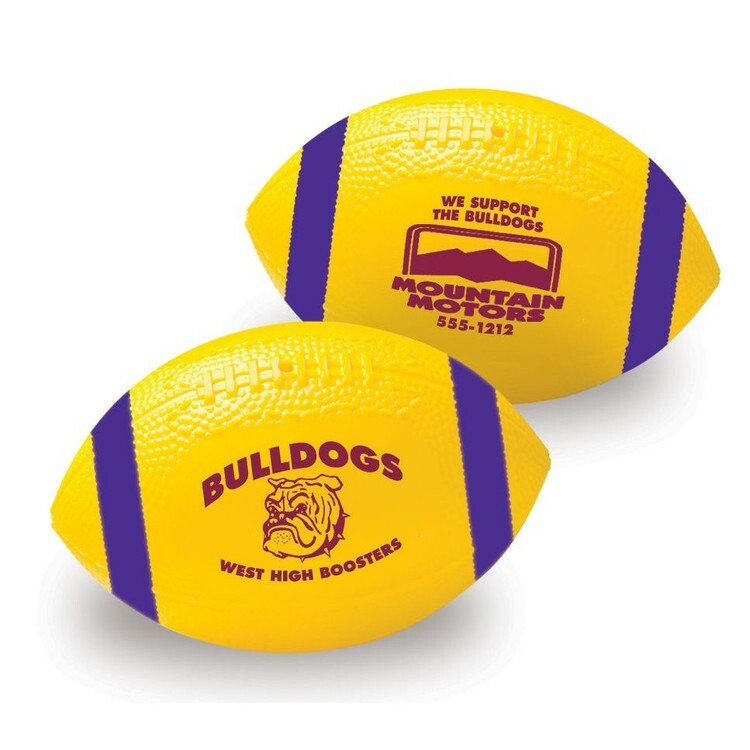 They are given out at small gatherings to large sporting events, included in mailers, hung on liquor bottles, and are perfect for customer incentives! 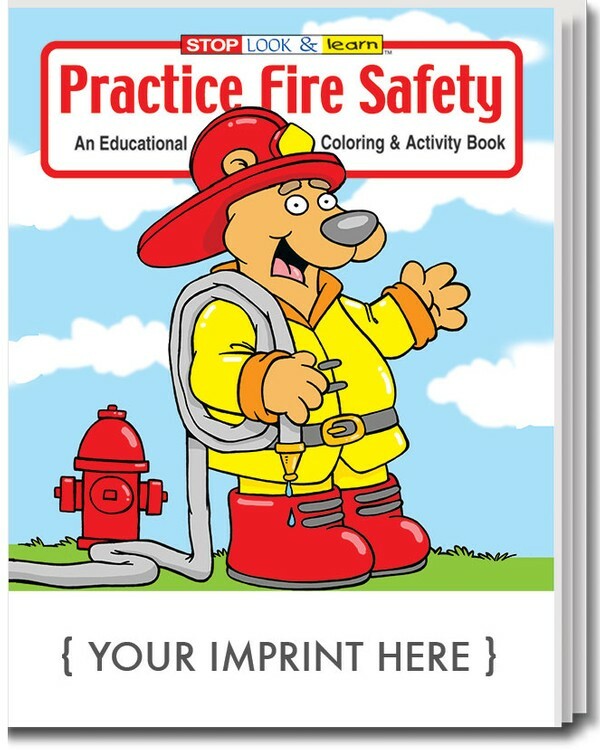 These come in a smooth finish and are plastic coated. Choose any of our standard faces options, or create your own for something truly unique. 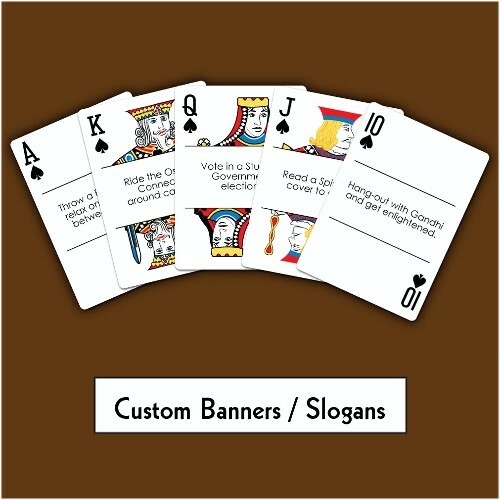 Your custom 54 slogans on all the cards in your deck! Each slogan sits within the center of each card. Just send us your 54 slogans for this custom banner index! This is an absolutely stunning deck of fully customized playing cards. 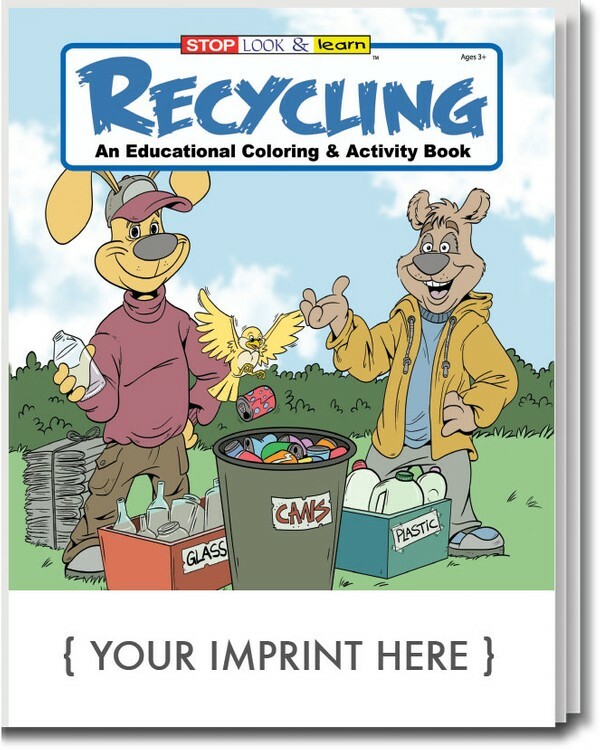 Your custom design or logo is printed in spot or full-color on the common-side of all the cards in the deck along with all the sides of the box in which the cards are packaged. Cello-wrapped for wonderful presentation. These are great for job fairs and trade shows, for travel companies, airlines, as professional sports team giveaways, nursing homes or hospitals. 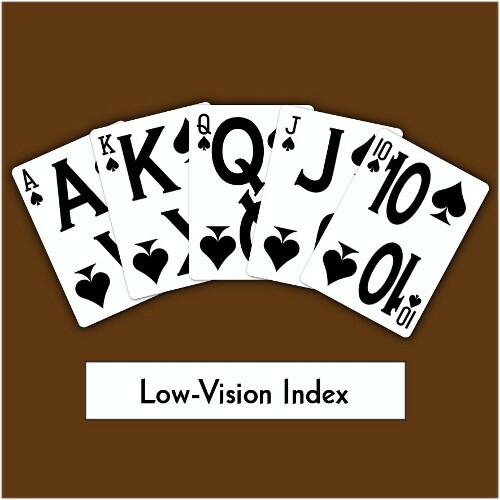 - Poker Size or Bridge Size - Free PMS Color Matching - Spot or Full-Color Process This index is available also on our casino-quality and 100% plastic decks. Large official size 28 Piece Double Six Domino Set & Attache Case... 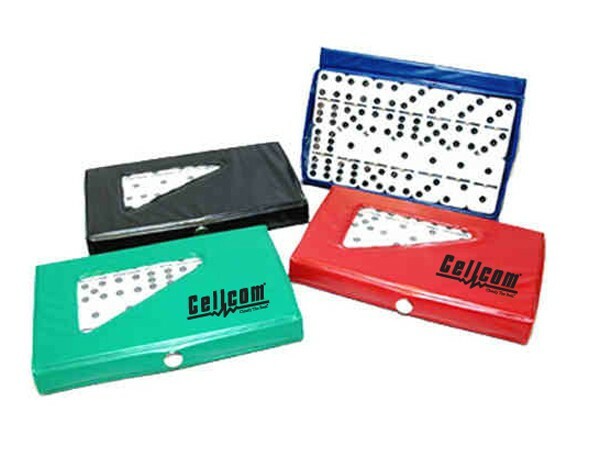 This popular large domino set features dominoes with metal spinners and an attractive attached storage case... 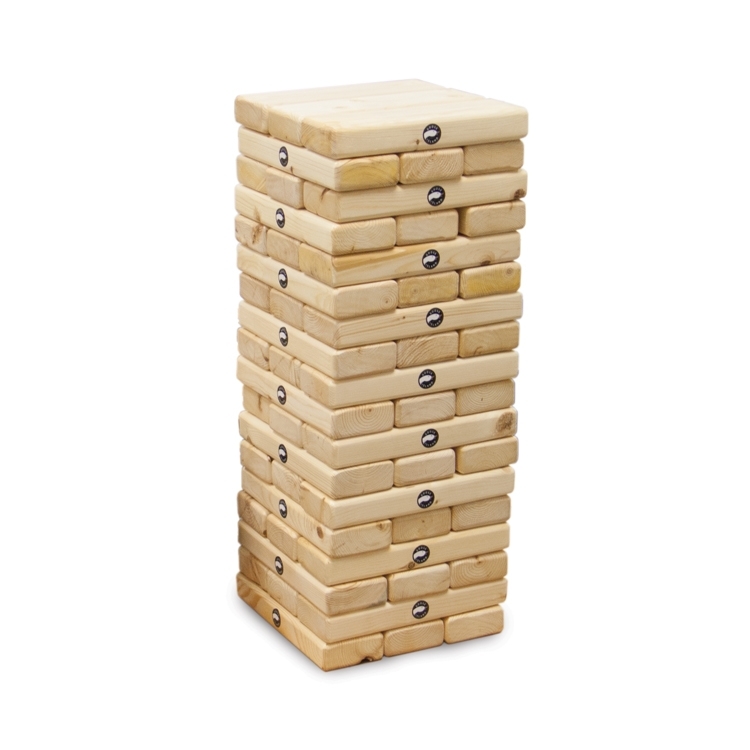 This is a full double six 28 piece domino set... The cases are available in tan or black and the domino pieces are ivory colored... 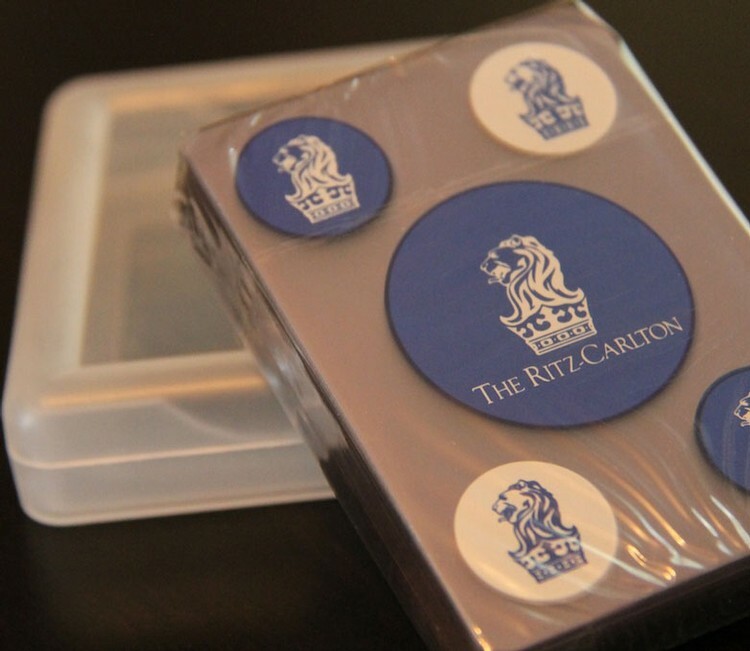 The logo is customized on the 7 1/2'' x 4 3/8'' x 1'' case... An excellent Latin and Spanish promotions. 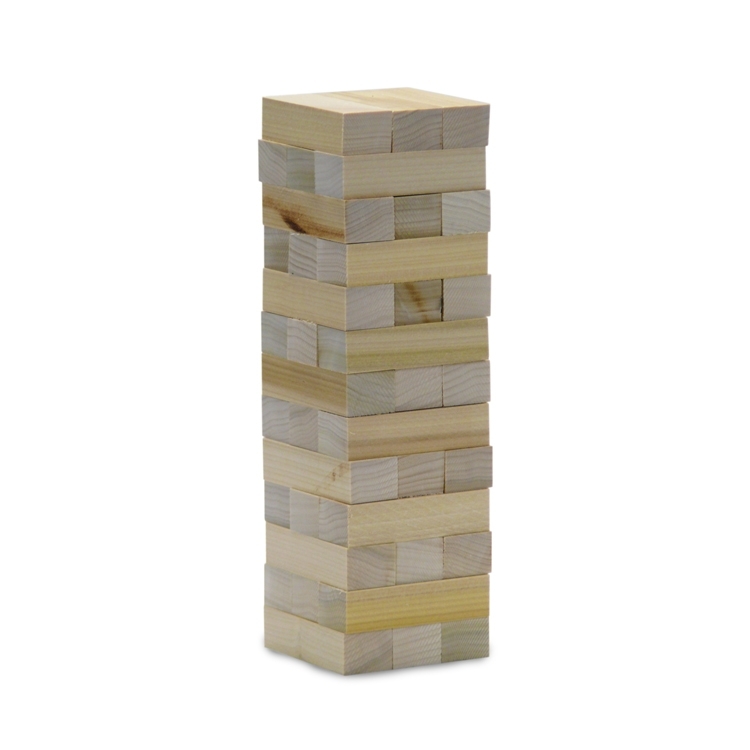 These come with our Jumbo index, with larger corner pips for easy reading! See style LOWVIS for our low-vision pips! This is an absolutely stunning deck of fully customized playing cards. Your custom design or logo is printed in spot or full-color on the common-side of all the cards in the deck along with all the sides of the box in which the cards are packaged. Cello-wrapped for wonderful presentation. These are great for job fairs and trade shows, for travel companies, airlines, as professional sports team giveaways, nursing homes or hospitals. 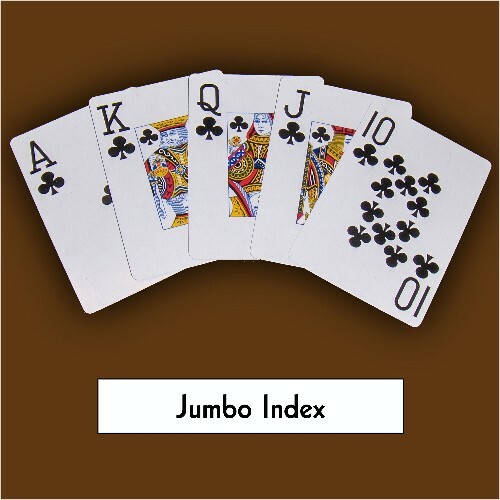 - Poker Size or Bridge Size - Free PMS Color Matching - Spot or Full-Color Process Jumbo index is available also on our casino-quality and 100% plastic decks. 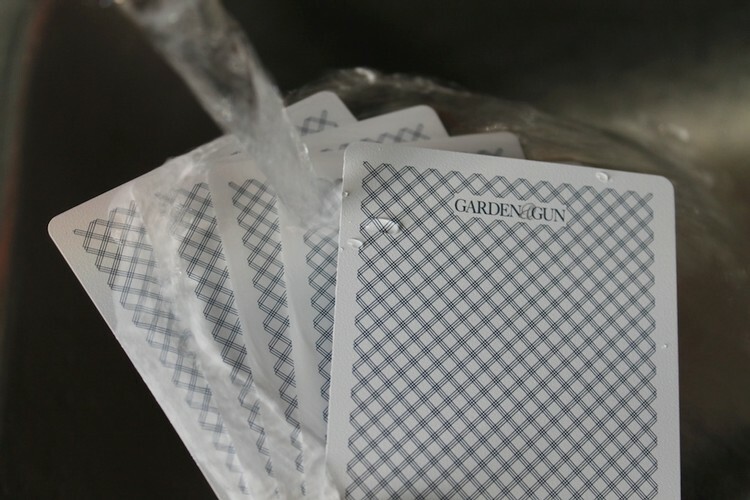 These impressive, heavyweight, bright-white playing cards are plastic coated and available in a smooth or linen finish. Available at just 300 decks, these beautiful cards have a perfect snap and shuffle for any event, promotion, or giveaway! Choose any of our standard faces options, or create your own for something truly unique. Custom sizes are available for Scratch &Win Air orders. Please contact us for more information. 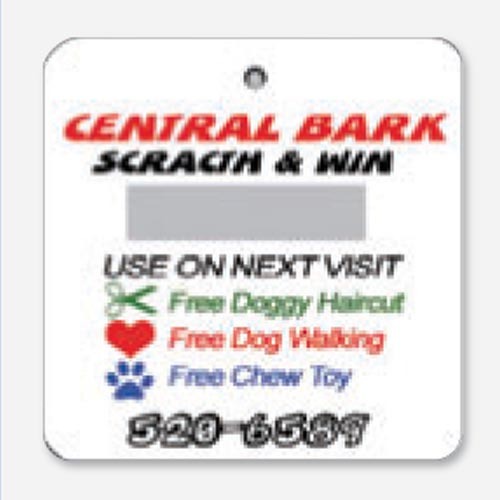 All Scratch-Off prices includes 4 Color Process print on 1 side with a color scratch-off area; silver or black. Pantone colors will be converted to CMYK equivalent. Exact color match is not available on this product. 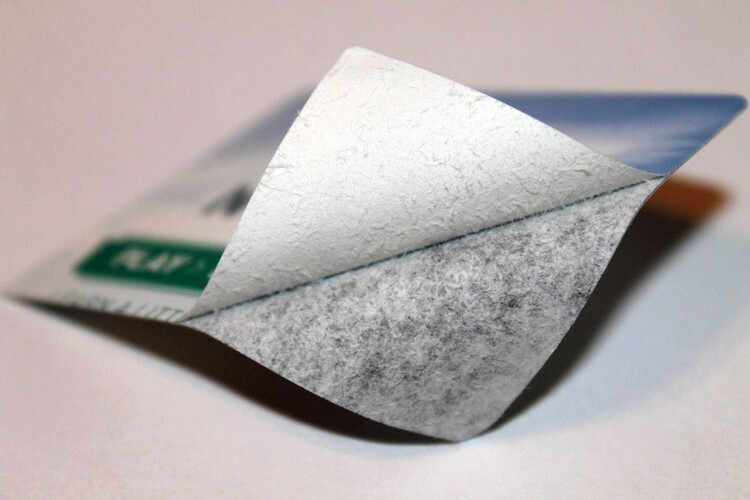 Prize changes for air fresheners at 500 piece intervals For all scratch & Win items we recommend that you use grey or 70% black under scratch off area. 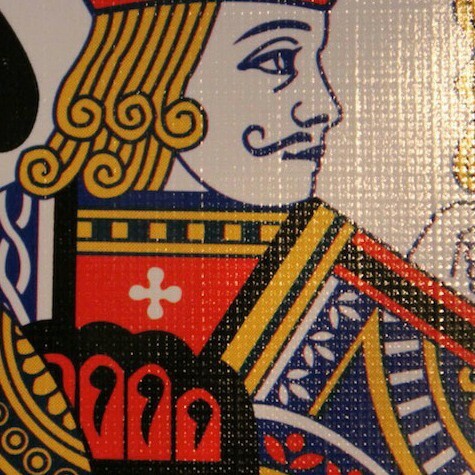 Don't let the price fool you - these are excellent quality playing cards! 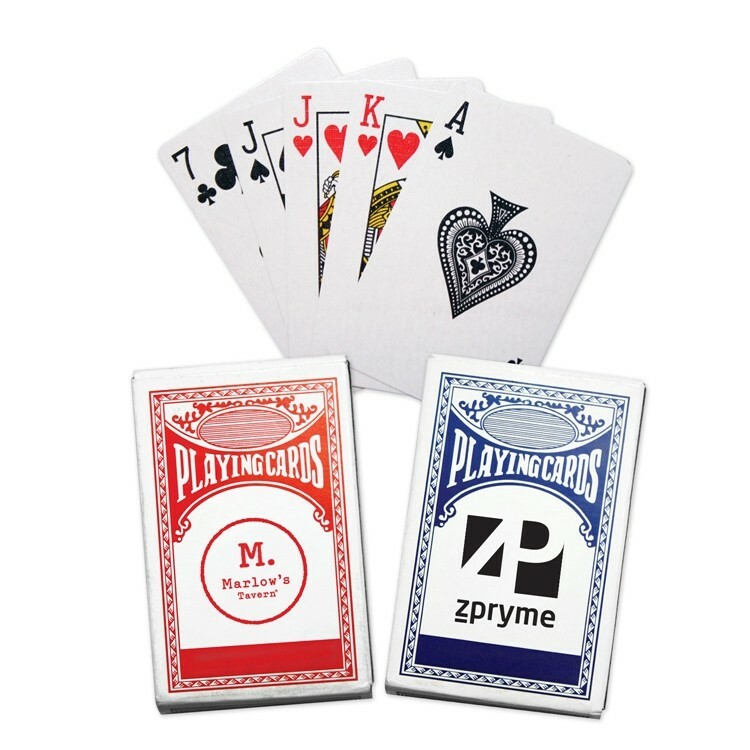 Finished smooth, and plastic coated, these slightly more economical playing cards are absolutely perfect for large scale promotions or anyone on a tight budget. Choose any of our standard faces options, or create your own for something truly unique. 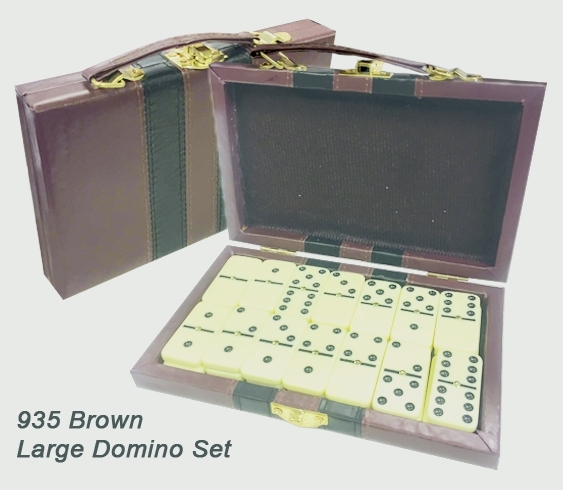 Large official size 28 Piece Double Six Domino Set & Attache Case... 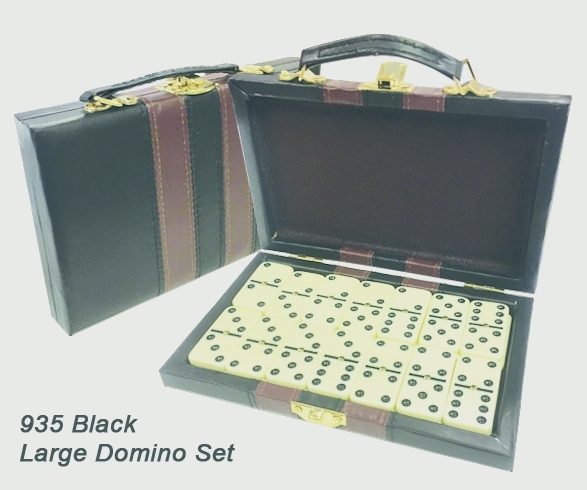 This popular large domino set features dominoes with metal spinners and an attractive attache storage case... 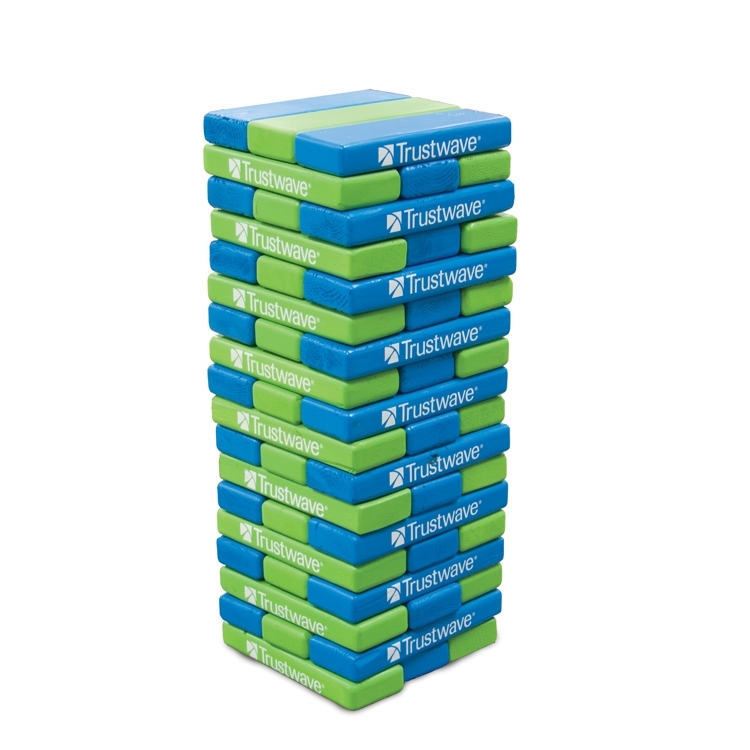 This is a full double six 28 piece domino set... The cases are available in tan or black and the domino pieces are ivory colored... The logo is customized on the 7 1/2'' x 4 3/8'' x 1'' case... An excellent Latin and Spanish promotion. Transucent 4 oz. 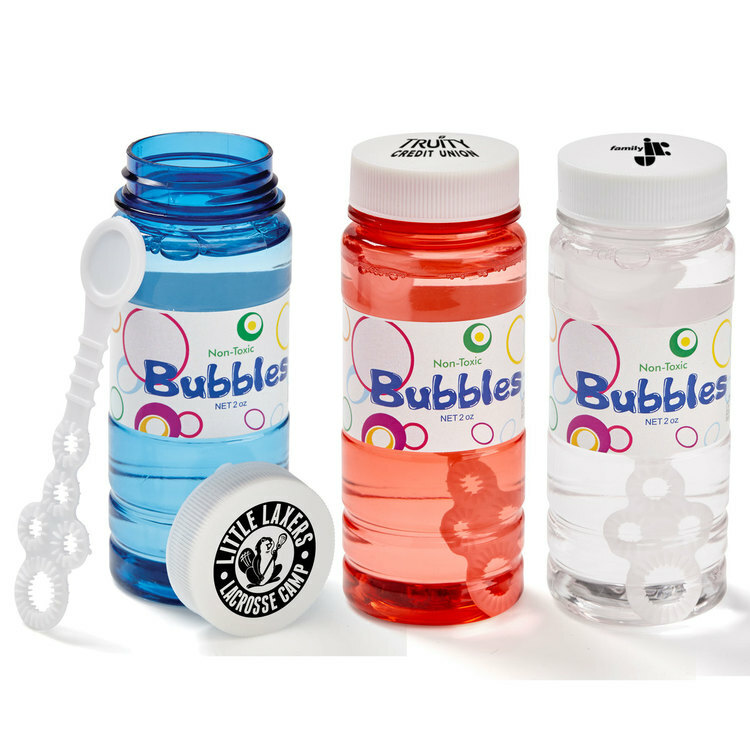 bubble bottle shows off the contents, including the easy-grip wand with five bubble making ports! Note: Stock package designs for bubbles might change at any time. If the exact design is important, please notify factory in advance and mark order so current sample can be furnished.